In part 1 of this article we mentioned different reasonable and attainable weight loss goals for Pesach. We also covered how to handle our health during the erev Pesach preparations. the general lack of activity and exercise during Pesach. It seems that during the holiday where we celebrate going from enslavement to freedom, we manage to enslave ourselves to many unnecessary calorie. There is a mitzvah to eat certain foods during Yom Tov, such as matzah. There is no mitzvah, however, to consume mass quantities of anything. 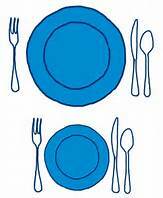 In order to keep a handle on the over-eating problem, try this: Take a reasonable portion on your plate. If you are truly still hungry after you eat what’s on your plate, take seconds of a cooked or raw vegetable or fruit. Remember that drinking water may also make you feel full. So, drink up before you start your meal. For all you matzah lovers out there… Remember that although we are commanded to eat matzah on Pesach, we are not commanded to eat mass quantities of it for the entire length of the holiday! As for the kinds of food we eat, everyone can make some subtle, but significant, adjustments. Even though meat and chicken dishes are more popular at this time of year, you can trim the fat from your meat and order lean cuts. Remove the skin from chicken and turkey, preferably before cooking, and keep in mind that the white meat is much leaner than the dark meat. Also, keep the emphasis on vegetables and try to use whole grain matzah. For dessert, go for fresh fruit salads, melons and sorbets instead of cake and cookies, which are loaded with sugar and fat. Also, keep in mind that most pareve ice creams contain chemicals and high-fat based whips. Taking nice long, brisk walks, particularly after your meals, is a great idea. There is nothing worse than falling asleep immediately after a meal. When you are finished with the walk, stretch a little and then you can take your nap. 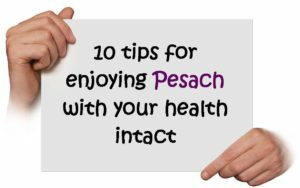 For a list of 10 Tips for enjoying Pesach with your health intact click here. 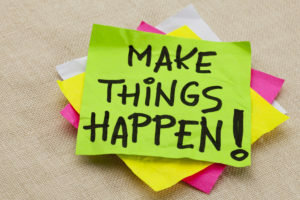 How many times do we hear about starting new things “after the holidays?” Now is the time to make plans and take action. After Pesach the weather usually begins to warm up and you can plan now to start walking more—but be specific! How many times per week and what time each day? How long should your walk be and what course will you be following? If you prefer the gym, take out the membership now and plan now on which days you will be going and what time of the day. It probably pays to see a health and wellness professional to get a good idea of what you should be doing in terms of exercise and what changes are practical for you to make in the eating department that will help you lose weight in a healthful manner and improve your health. Taking a personal trainer or finding an exercise partner are good ways to ensure that you will indeed stick to you plan. Accountability is important! Make sure that you take on a program that you can really adhere to.